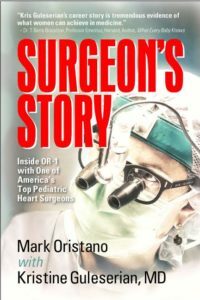 Mark Oristano to create Surgeon’s Story - Inside OR-6 With a top Pediatric Heart Surgeon. Rest my fingers! Just kidding. 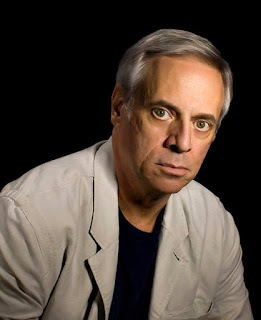 I’m a long-time stage actor in Dallas, and I also have a small photography biz. And my wife and I travel a lot. And I go to Texas Ranger baseball games. Professionally, when I was 16. I got a job as a sportswriter on the local newspaper in my hometown, Mamaroneck, New York. The first time I signed a copy of a book for somebody. Pretty cool. Santorini, Greece. I’d sit on a balcony overlooking the sea and drink strong Greek coffee and write. Something in sports, as I was a sportscaster for 30 years, for the Dallas Cowboys and others. Back to your present book, Surgeon’s Story, how did you publish it? We had interest from New York publishers, but they wanted the book to be in the doctor’s first person voice, and she refused, saying that was too egotistical. So we self-published. Just to the OR, to watch many surgeries. Why was writing Surgeon’s Story so important to you? It’s a fascinating story about a fascinating woman with a fascinating skill set. From life. It’s the most interesting thing out there. Surgeon’s Story, available in paperback, hardback, and Kindle form, on Amazon.com.